This arrived in my inbox today, fresh from the fingers of iA, a design agency who’s work i am a big fan of. 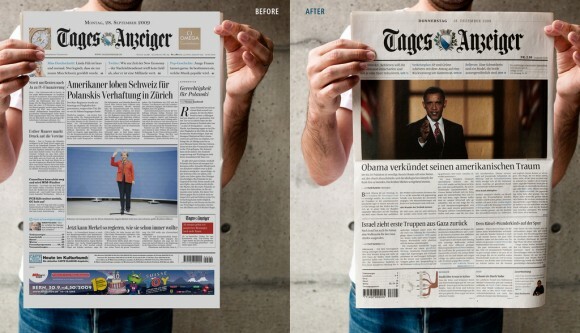 In January 2009 we were invited to take part in a paid pitch for the print redesign for the Swiss newspaper Tages-Anzeiger. All in all five agencies took part in the pitch. We were the only UX oriented agency. The story of a beautiful failure. Having found out the same day that we had lost a pitch of our own, it was nice to read of the misfortunes of another! But more interesting to read their perspective on their ‘beautiful failure’.